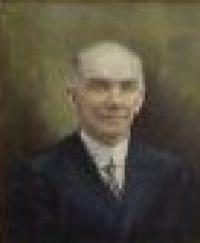 Godfrey von Platen (1867 - 1924) was a successful lumber businessman who emigrated from Germany in 1869. 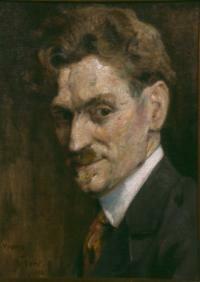 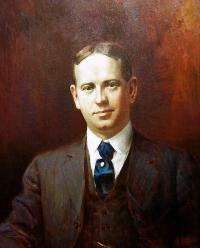 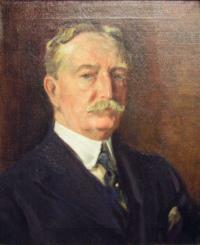 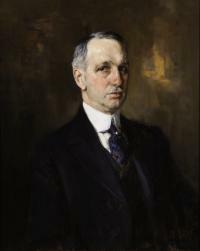 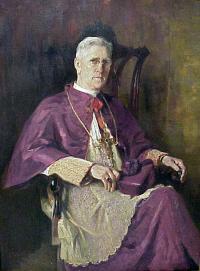 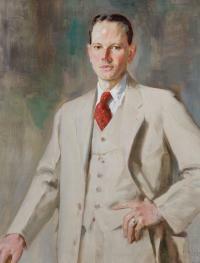 Godfrey later became the president of the Widdicomb Furniture Company (1916 - 1923) and director of the Michigan Trust Company. 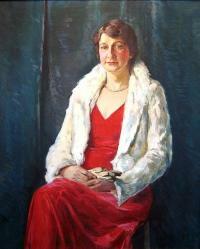 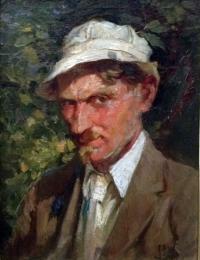 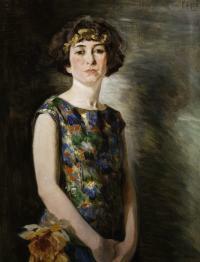 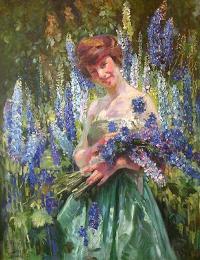 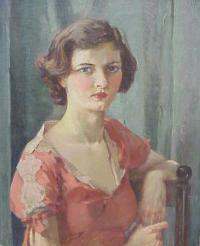 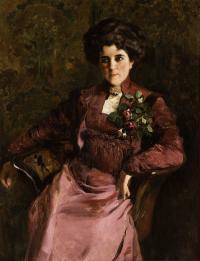 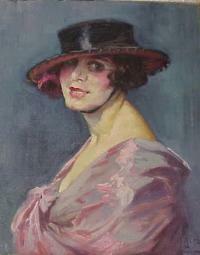 This portrait of his wife was painted after her death from an earlier photograph. 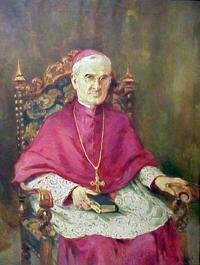 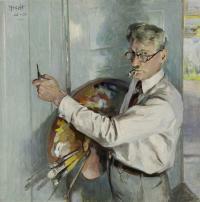 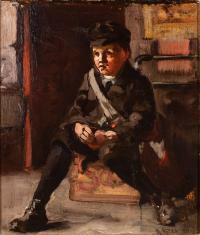 Alten also painted a portrait of Godfrey von Platen which may be viewed in the GVSU Gordon Gallery. 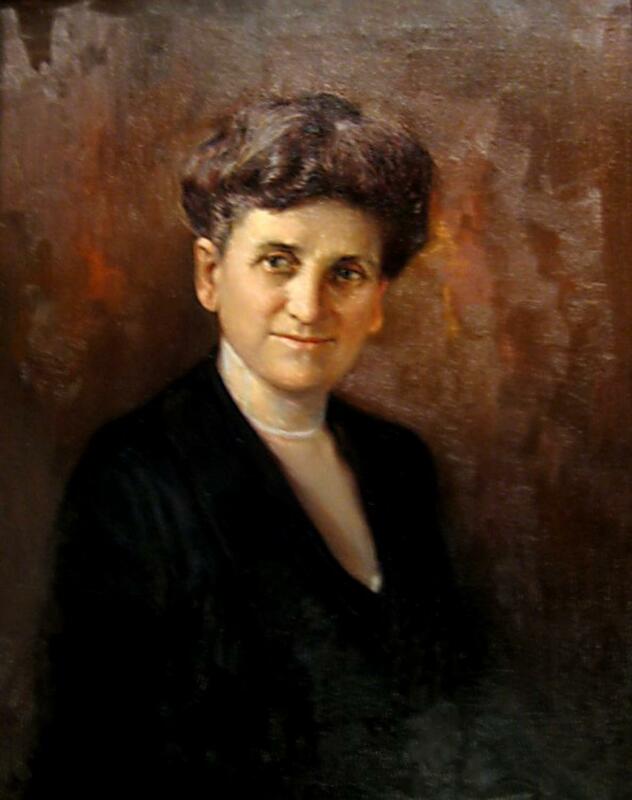 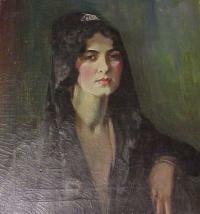 A portrait of an aging woman in a sophisticated black dress wearing a white necklace with her hair piled atop her head, pinned up.